Some believe the drink relieves the symptoms of a cold or the flu. 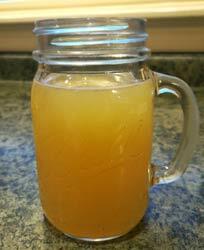 Obviously there are plenty of benefits to lemon juice, honey, and cider vinegar and mixing them in a warm drink can be very soothing and therapeutic. And the Bourbon is a nice touch! This is a more traditional version of the CML Supply "Day off from the Shop Elixir" from a couple of years ago. We will post that again soon. 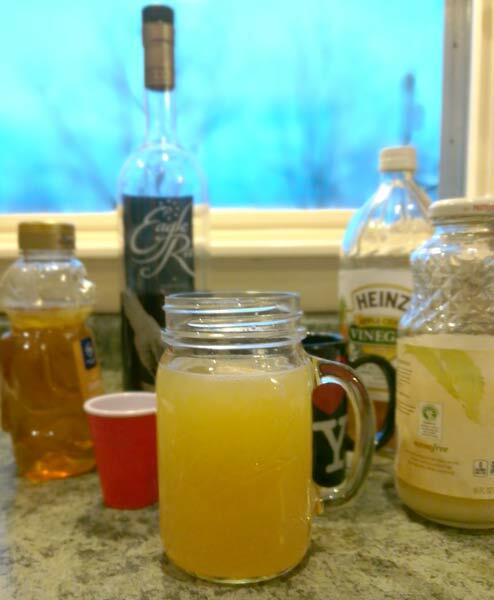 So this is really just a good ol' fashion Kentucky Bourbon Hot Toddy. Just has one simple twist- a dash of apple cider vinegar. I saw the idea somewhere, and I gotta say that it balances the sweetness just a bit! 2-1/2 to 3 well-rounded TBSP Honey. Microwave the ingredients in your favorite mug for 1 minute. Once it's nice and warm, I give it another stir to make sure the honey is mixed. Add 2 ounces Kentucky Straight Bourbon Whiskey. Our current favorite for everyday occasional sipping on cold winter nights is Eagle Rare 10-year(*See footnote). Reverend Elijah Craig let us down when he removed the age statement from his 12-year bottle a year or two ago. Now our local purveyor is kind enough to keep a case or two of Eagle Rare on hand even though the Buffalo Trace distillery is limiting allocation due to shortages. Stir in the bourbon and enjoy the luscious goodness of a warm soothing drink on a cold night. Or drop in some ice cubes for a late summer earry autmn drink! * While we do not recommend regular consumption of alcoholic beverages- If someone were to locate a bottle of Eagle Rare 17-year we would offer a cash reward. No questions asked if it fell off a truck.